The initiator of the Sun-style Tai Chi Chuan was Sun Lutang (1861-1932) from Dingxian County in Hebei Province. 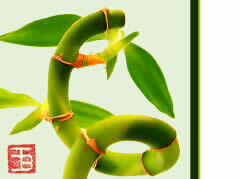 Sun was a master of Xingyi Quan (free-mind animal-imitating Chuan) and Bagua Zhang (Eight-diagram Palm). In 1911, he followed Hao Weizhen to learn the Wu Yuxiang style of Tai Chi. He later created the Sun style of Tai Chi Chuan by blending the cream of the Wu Yuxiang style of Tai Chi, Xingyi Quan and Bagua Zhang. The feature of the Sun-style Tai Chi is that practitioners advance or retreat freely with quick and dexterous movements, which are connected with each other either in closing or opening stances when the direction is changed. Besides the above-mentioned five style of Tai Chi Chuan, there is another style called Five-Star Tai Chi. This style was initiated by Wang Lanting, butler of Prince Duan of Yang Luchan who served as Wushu master to Prince Duan. After mastering the Chuan art, Wang Lanting passed it onto Li Ruidong and Si Xingsan. Li Ruidong then absorbed the cream of other styles of Tai Chi to form the Five-Star Tai Chi. The Chanmen Tai Chi Quan or Buddhist Tai Chi Quan which is popular in the area of Pingdingshan in Henan Province was developed by monks in the Shaolin Temple according to the Infinitely Merciful Dharani Scripture. By the end of the Qing Dynasty, it had also absorbed the best of the martial arts practised by followers of Taoism and Confucianism. As it was first created by Buddhist monks, it was called Chanmen or Buddhist Tai Chi Quan. 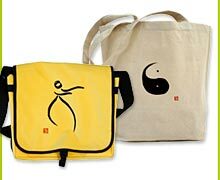 To further popularize Tai Chi Quan among the people after the establishment of the People's Republic of China, a simplified set of the Yang-style Tai Chi Quan was compiled in 1956, by dropping the repeated and difficult movements. The simplified set consists of 24 forms. 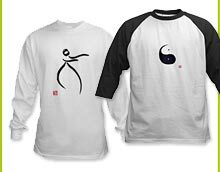 In 1979, the Chinese State Physical Fxiucation and Sports Commission absorbed the strongest points from the Chen-style, Yang-style and Wu-style Tai Chi, as well as Tai Chi Wushu, to form a popular, 48-form Tai Chi Quan. The Sun Style Tai Chi Chuan was known by the name "Huobao Jia" ("lively pace frame").